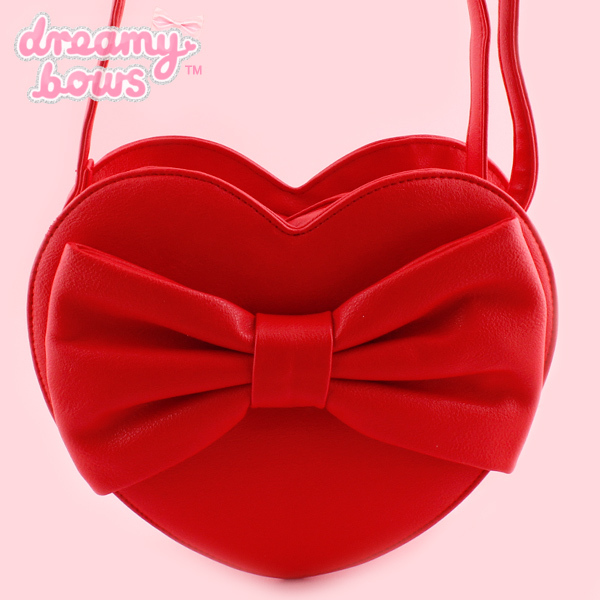 Add practicality and style to your co-ordinates with this stunning heart shaped shoulder bag which would look adorable with any sweet romantic coordinate. 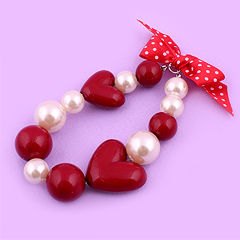 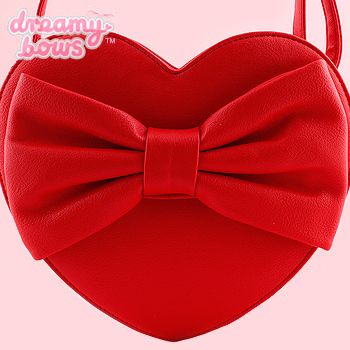 Adorable sturdy spacious adjustable shoulder bag with cute big bow on front and a heart shaped zip toggle. 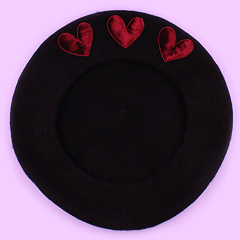 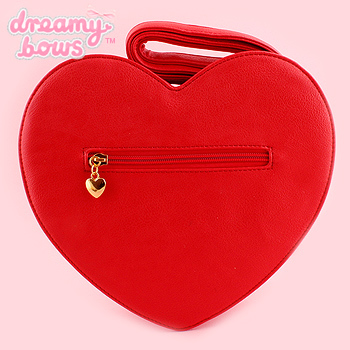 This heart shaped bag features an inner pocket to store small things inside and a zip pocket on the outside at the back of the bag for valuables. 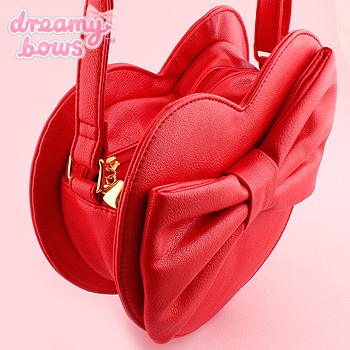 The faux leather material is easy to clean and gives the bag an overall sophisticated look, perfect for romantic or sweet styles.